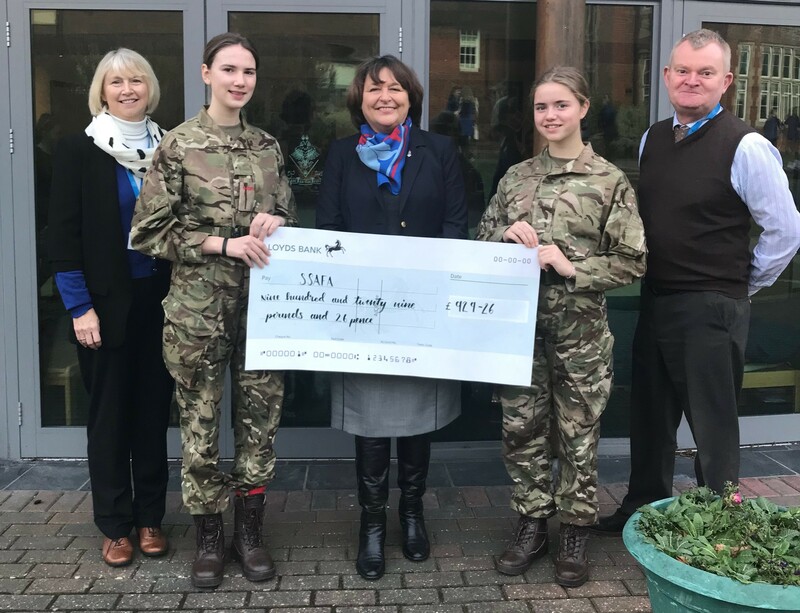 We were delighted to welcome Sue Rollo, Vice-Chair of SSAFA Wiltshire to our School Assembly this morning to present a fundraising cheque for £929.26. The money was raised during our very special school event, ‘Godolphin Remembers’ which took place in November. Godolphin Remembers was a celebration of the contribution made by the students, staff and alumnae of Godolphin School and their families during the Great War 1914-1918. Monies raised from ticket sales and the proceeds raised on the day were donated to the charity. SSAFA provides lifelong support to anyone who is currently serving or has ever served in the Royal Navy, the Royal Marines, the British Army or the Royal Air Force and their families.